Adding to its title of the Adriatic’s leading superyacht marina, Porto Montonegro features an impressive overwater hotspot – Porto Montenegro Yacht Club Pool adding to the Port’s already impressive features, for a modern day jetsetter. 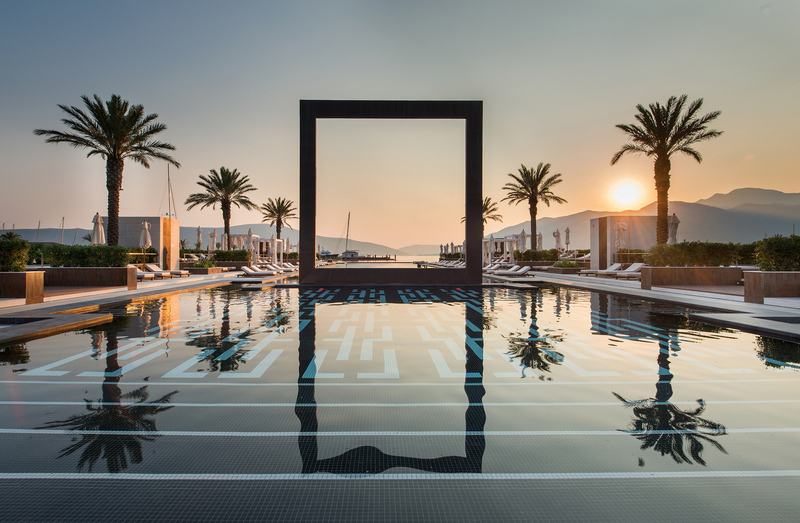 The Porto Montenegro Yacht Club Pool is an exclusive member’s only club but guests of Regent Porto Montenegro. The Lido features 6 open-air cabanas which line the edge of the infinity pool, as well as 80 single and 12 double day beds. A relaxed and chic daytime restaurant called Lido Pranzo overlooks the pool and serves poolside classics with an Italian twist, refreshing cocktails and a wide selection of international wines. Situated in the spectacular Atlas Mountains in Morocco, the award-winning Kasbah Tamadot was bought by Sir Richard Branson during one of his famous ballooning expeditions. Each of the 28 rooms and suites has been individually decorated to reflect the beautiful architecture of the building and features antiques from all over the world. 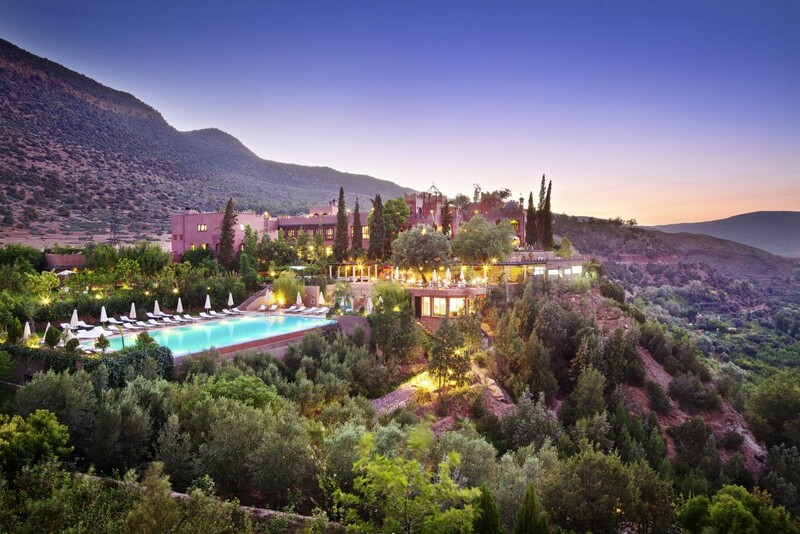 Kasbah Tamadot is located in Asni, 1,320m above sea level and approximately 45 minutes’ drive from Marrakech. The hotel employs local Berber staff from the surrounding villages, giving guests a sense of staying in a Moroccan home rather than a hotel. Take a dip in the outdoor infinity pool whilst enjoying the stunning views of the Atlas Mountains. If outside is a little chilly, don’t worry they’ve got you covered with a heated indoor pool. On the 1st May 2016, luxury safari camp and lodge operator Elewana, opened a new luxury tented camp on the site of the former Loisaba Lodge. Loisaba Tented Camp is located on a 600ft escarpment where every room enjoys spectacular views stretching across the Laikipia Plains to Mount Kenya. The 56,000 acre Loisaba Conservancy spans three eco-systems offering a variety of beautiful landscapes and incredible game viewing, including the opportunity to see the rare Northern species including reticulated giraffe and Grevy’s zebra and one of the best places in East Africa to see wild dog. Guests at the Loisaba Starbeds and Tented Camp have the entire conservancy to themselves. 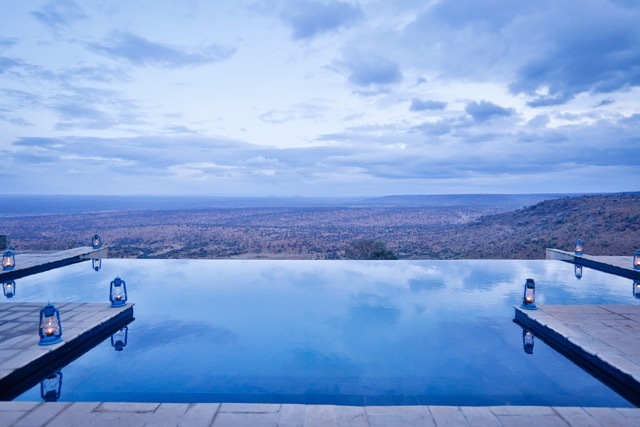 An area of approximately the same size as Lewa Conservancy, the Mara North Conservancy, or Samburu and Buffalo Springs combined, Loisaba has only 16 rooms in total, providing a generous 3500 acres of wilderness per room. This allows for some of the greatest exclusivity to wildlife sightings available in Africa. Aside from game viewing the Loisaba Tented camp enjoys two infinity pools (one for guests in the Private Residence) with spectacular views of wildlife. Crystal Lagoons are known for creating more than 300 man-made lagoons worldwide using their sustainable technology including the Guinness World Record holder for the largest pool in the world. These idyllic beach paradises are perfect for travellers to swim, kayak, paddle board and more! In addition to being a great summer spot, Crystal are eco-friendly, using 30 times less water than a typical 18-hole golf course and 50 percent less water than a park of the same size. One of our favourite Crystal Lagoons pools is in Hua Hin, “The Land of Smiles”. It is known for its traditional Thai food, welcoming locals and the World’s Most Exotic Lagoon. 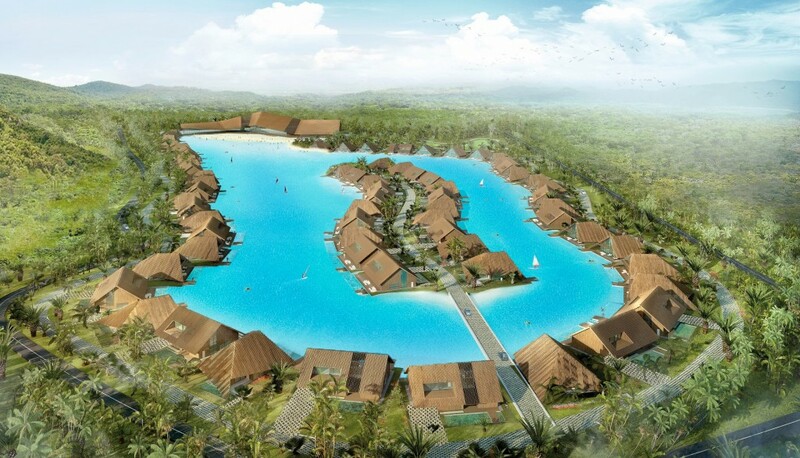 Located 124 miles south of Bangkok, the 17.8-acre lagoon acts as a turquoise centrepiece to luxury villas and a hub for swimming and water sports. 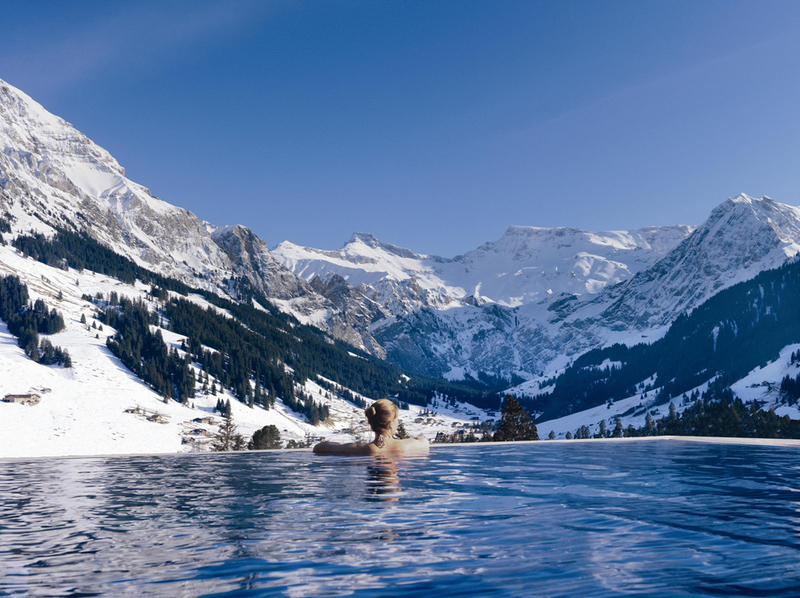 The Cambrian, a member of Design Hotels and the only Mr&Mrs Smith hotel in Switzerland, is located in the heart of the picturesque mountain resort of Adelboden. It provides the perfect base for both adventure-packed holidays (for example, skiing, snow hiking & dog sledding in winter and hiking, mountain biking & adventure park activities in summer) and breaks of pure relaxation, based around the Cambrian Spa. The Cambrian Spa includes an outdoor heated pool with water jets from which to enjoy stunning mountain vistas, an indoor lap pool, a sauna, Turkish bath, rain showers, Kneipp foot bath and relaxation area, and a well-equipped gym. Here at Hero & Leander, our focus is solely on The Cambrian’s outdoor pool which is regularly voted one of the world’s most amazing, and who could argue with views like that! 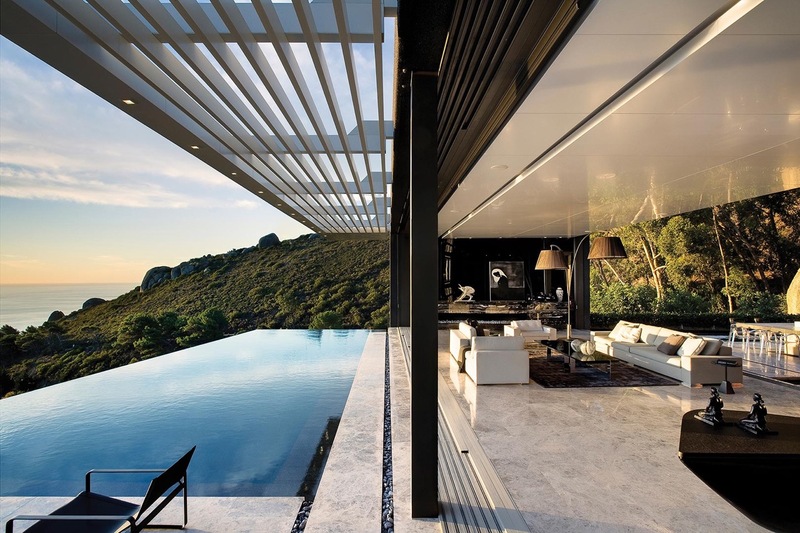 Lions Head in Cape Town property was built with a specific brief of creating an “inside/outside” house. The inside/outside drawing room has glass walls that ‘disappear’ and a ‘floating’ bar. There is also a nine seater private cinema with DVD players and media server, a wine cellar, and an office. Scattered throughout the house are also sculptures by Dylan Lewis and other South African artists. The house has extensive home automation and can be controlled by i-pad (provided) – every man’s dream. Outside there are two further dining areas (one with wood burning Braai), and a huge solar heated pool -all on the sixth floor. The pool boasts breaktaking panoramic views of Clifton’s famous beaches and of the Atlantic Ocean- best enjoyed at sunset! 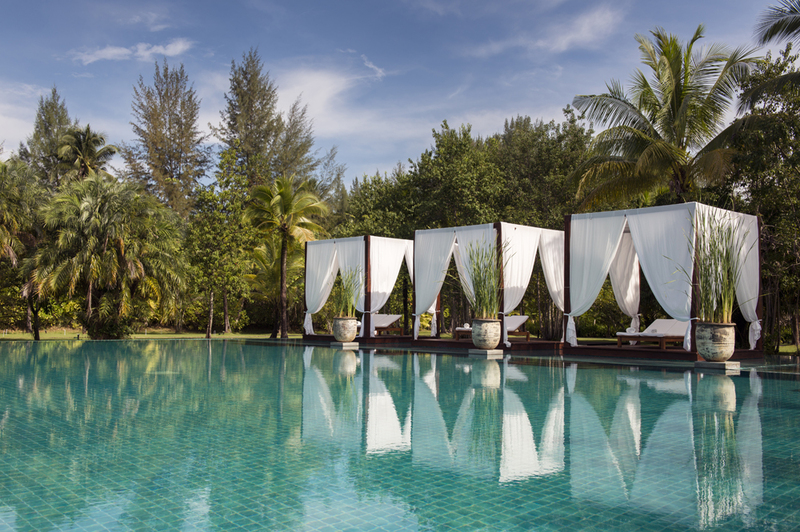 Perched on the coastline of a pristine 11km white sand beach in Khao Lak, The Sarojin is a luxury five-star resort which offers an abundance of peace, tranquillity and relaxation …not to mention unparalleled swimming facilities! The Sarojin’s soul-soothing aquamarine infinity pool is set amidst spacious and lush tropical gardens, effortlessly blending harmony with nature. Every detail in the swimming pool’s design and service has been carefully made to reflect and create an oasis of pure relaxation; and is complete with a sunken Jacuzzi lounge area and three floating pavilions. For those who prefer to take a dip in private then The Sarojin’s pool residences, all idyllically tucked away on the ground floor corners of each building boasting glistening pools and a shaded Thai garden sala pavilion in its own tropical garden setting. In an area already renowned for its beauty and luxury, Velaa Private Island in the Maldives takes the aspirational escape to an entirely new level. 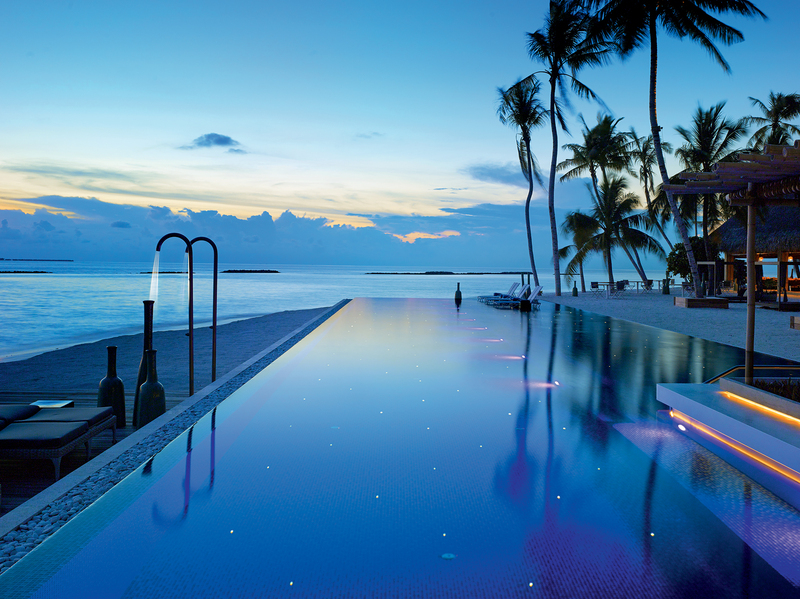 Recently named one of the world’s Top Five Best Hotels Velaa Private Island boasts a selection of stylishly appointed luxury villas and hotel offerings that are nothing short of spectacular. Tucked away within the collection of islands that form the Noonu Atoll, Velaa Private Island is elegantly positioned to overlook enchanting vistas of a cerulean ocean. Its name derived from the generations of sea turtles that flock there to nest and hatch; it is comprised of 47 private villas, houses and exclusive residences. The resort also includes a Romantic Pool Residence which can only be reached by boat, allowing even more exclusivity. Here all details have been considered: each villa comes with a personal butler, all services offered can be tailored to personal specifications, and attention to detail everywhere is impeccable: stone pavements from the desert in Jordan, Indonesian flowerpots, luxury wood panelling from Borneo, and glimmering Italian marble.